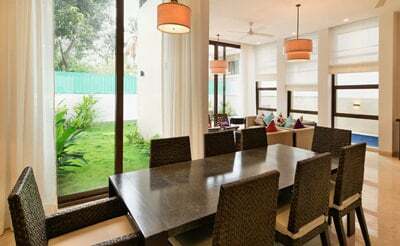 Taking a break from the hectic pace of city life? 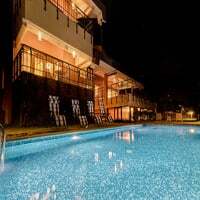 villa Flavia is the place to be at. 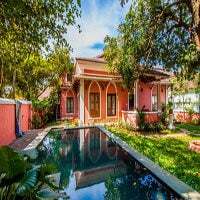 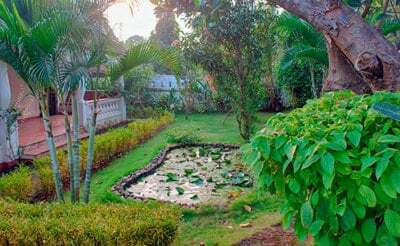 Think narrow, meandering lanes, abundant vegetation and an extravagant Balinese villa in a little village in Goa and you would get a picture of the oasis that is calling out to you. 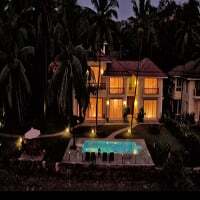 villa Flavia is the quintessential luxury villa that offers the best there is in the field of hospitality and warmth. 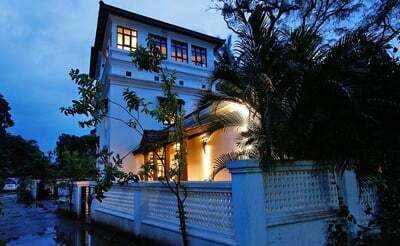 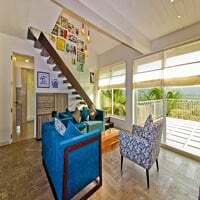 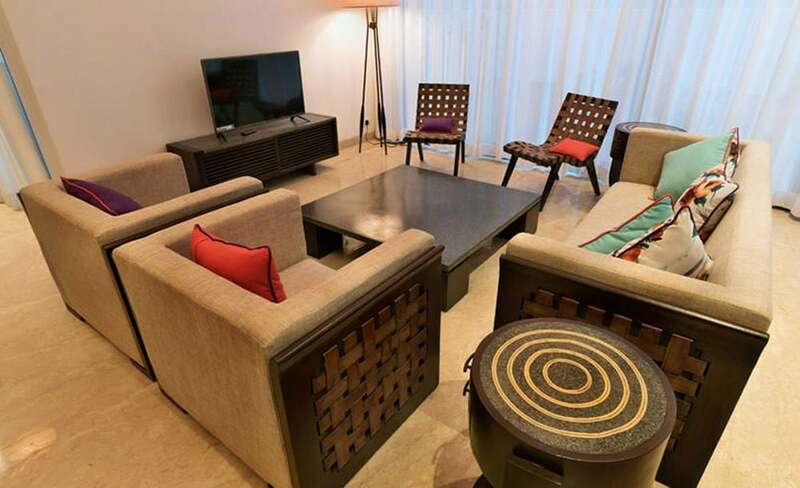 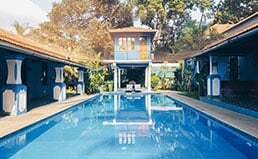 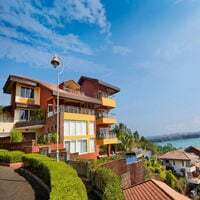 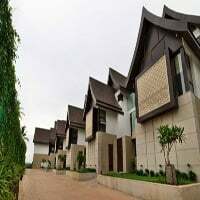 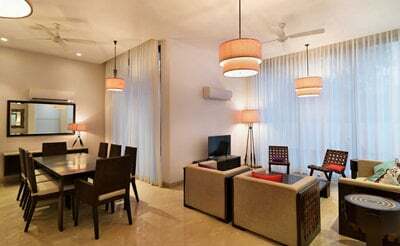 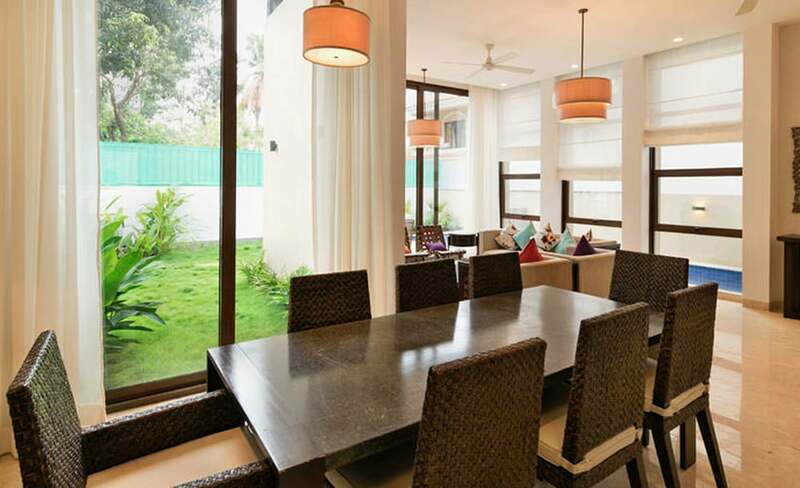 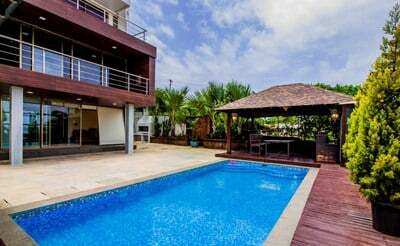 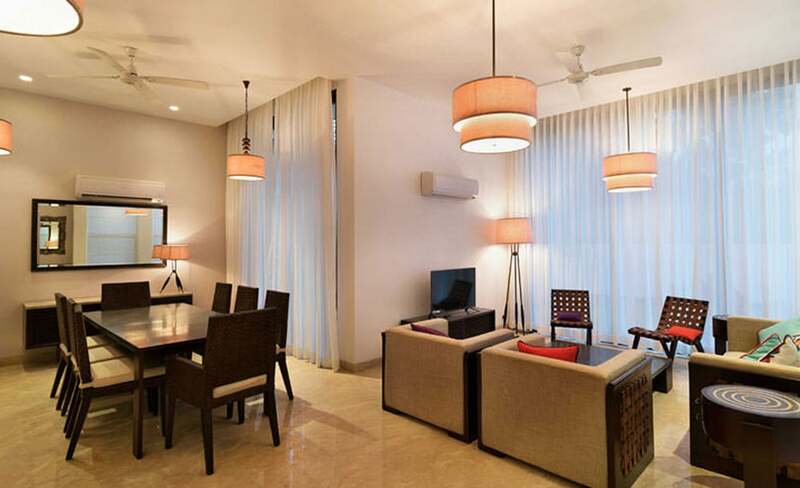 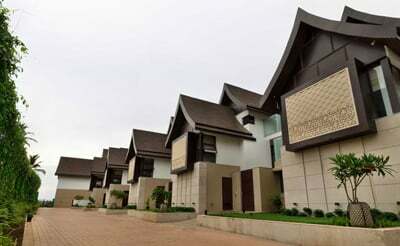 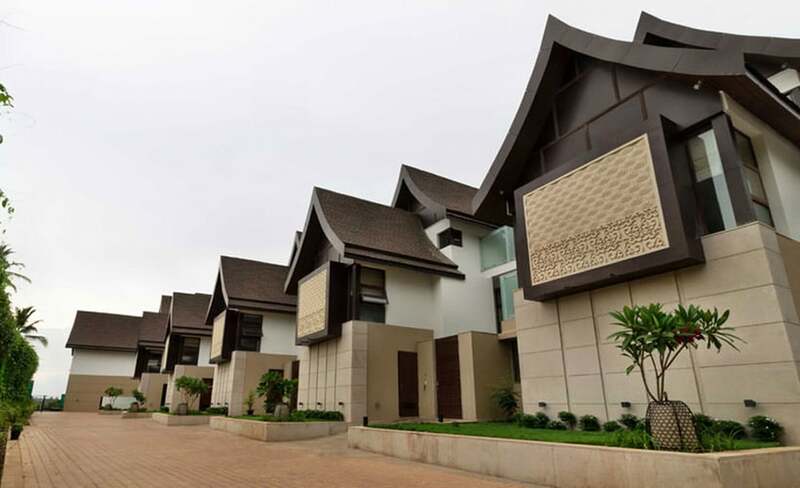 One of the most popular luxury villas in Goa currently, villa Flavia is a mere 7 minutes drive to the prominent Candolim beach and the varied attractions it has to offer in the form of an active night life, popular eateries, pubs, shopping avenues and more. 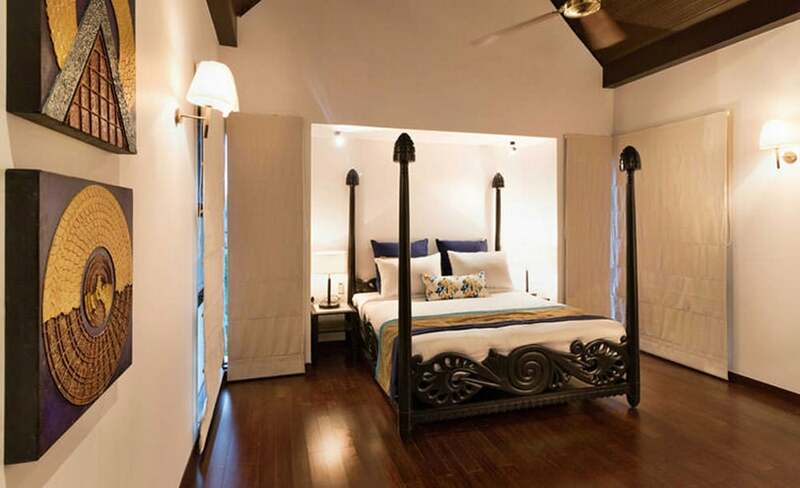 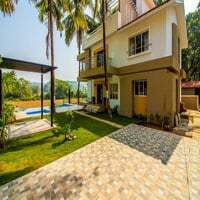 villa Flavia is one among five villas to be housed in this private and safe villa complex that offers all the comforts vacationers in Goa could ask for. 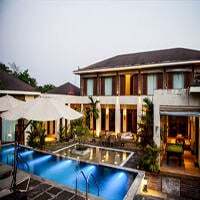 From individual parking space, private swimming pools for every villa, 24 hour power and security back, this complex can accommodate as many as 60 guests at a time and is thus, ideal for big and small groups alike. 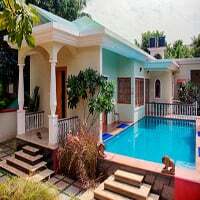 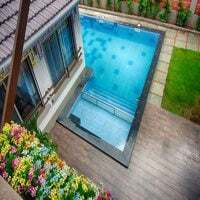 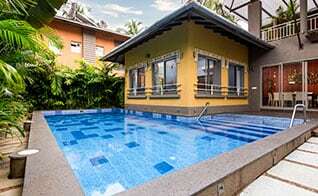 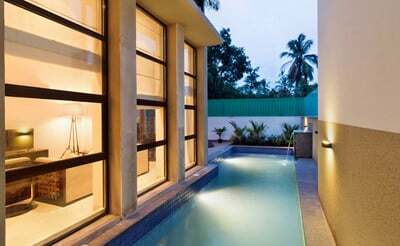 Counted among the most luxurious private pool villas in Goa, villa Flavia is 5000 square feet of opulence that one must indulge in every once in a while. 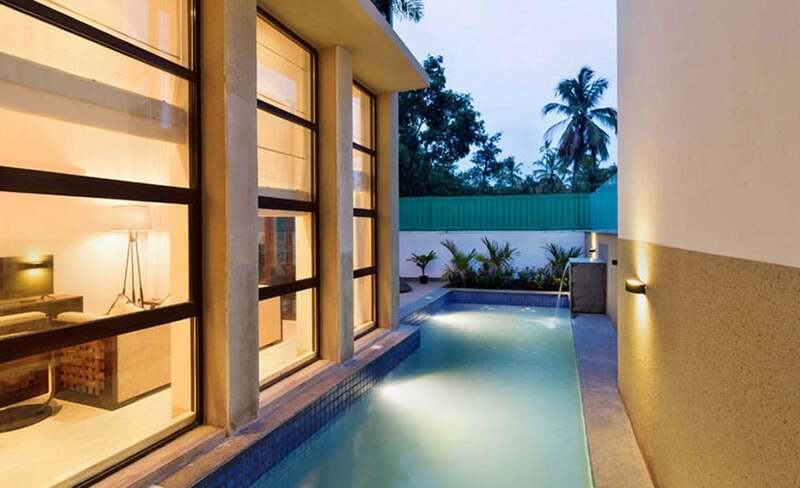 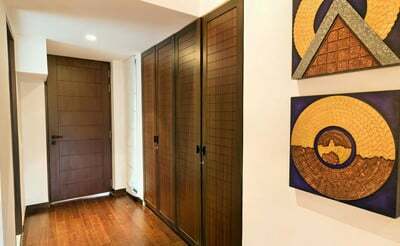 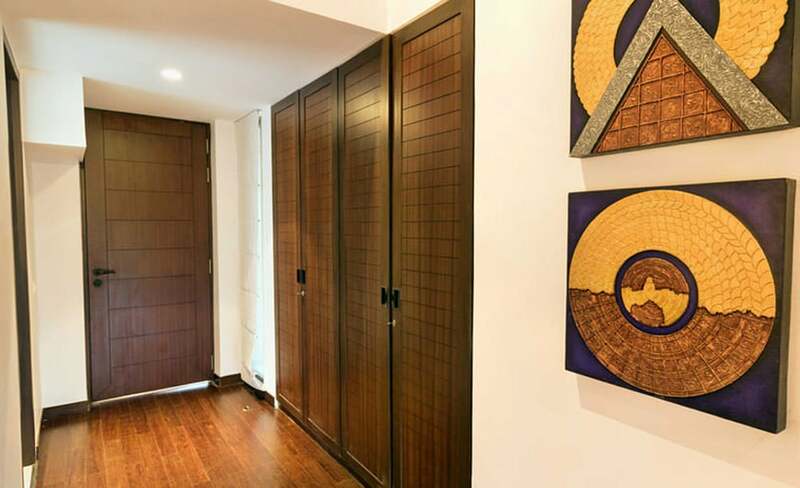 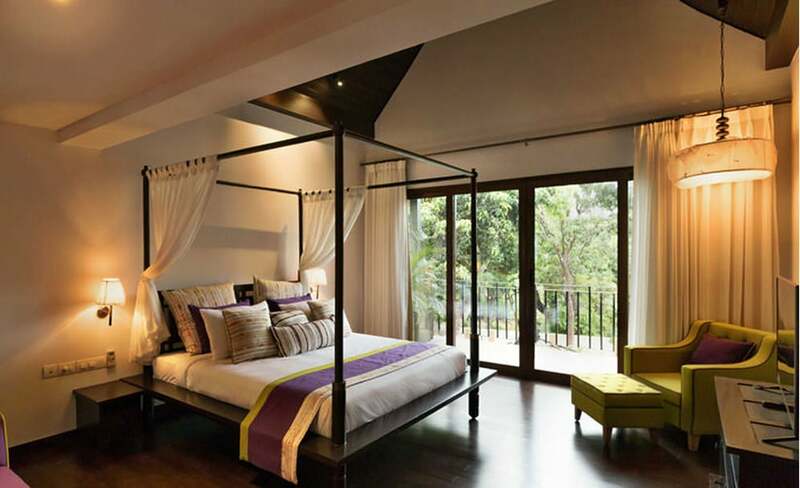 This Bali-inspired villa is divided into three storeys. 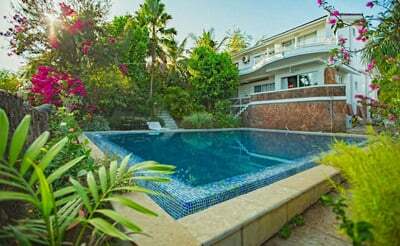 On the ground floor, there lies one of the main attractions of the villa: a 30 feet long swimming pool with a Jacuzzi and an automated cleaning system that ensures guests have a wonderful experience at all times. Besides that, the ground floor also offers a fully functional kitchen and a large dining room, a cosy living room, a bedroom and a staff room. 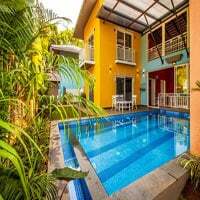 Each villa is also fitted with basic everyday appliances like washing machines, television, iron and all the essential kitchen equipments. 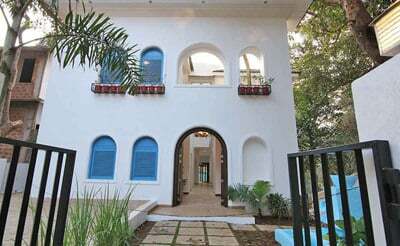 The first floor houses the remaining three bedrooms of the villa. 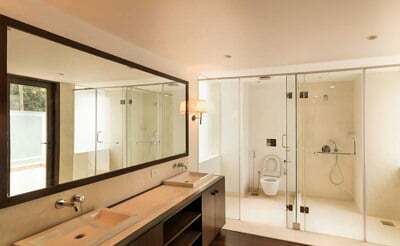 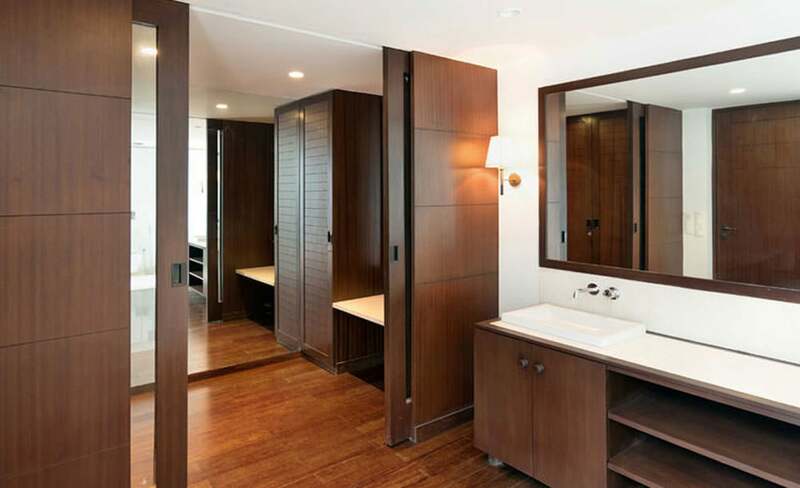 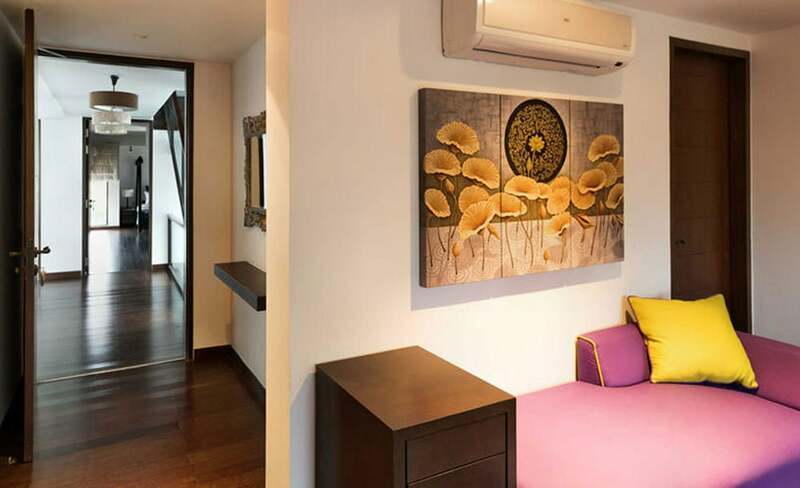 Each bedroom has an ensuite and is air-conditioned to ensure a comfortable stay. 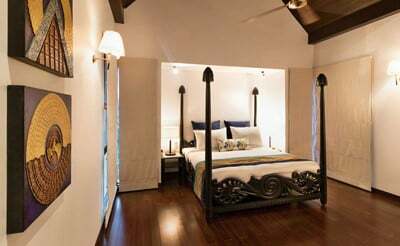 villa Flavia also offers free WiFi, complimentary housekeeping and cooks/drivers on call at an additional charge.